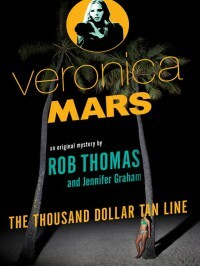 Fun Veronica Mars mystery that will appeal to fans of the show and the movie. This book picks up three months after the action covered in the film (which I promptly checked out from the library and watched upon realizing the book was making references to it, and I still hadn't seen it). The book, like the film, is set in 2014, ten years after Veronica graduated from high school. In the interim, she has completed undergrad and a law degree from Stanford. Although she's had a lucrative job offer with a Manhattan law firm, she's found herself drawn to her father's PI business, Mars Investigations. And now there is a juicy case to investigate: two girls have disappeared from a mysteriously bankrolled spring-break "party" house, and the Neptune Chamber of Commerce is eager to stop a "Nancy Grace"-style cable-TV commentator from continuing to warn parents away from allowing their college-aged children from spring-breaking in Neptune, CA. And of course, the incompetent but politically expedient Sheriff Lamb can't be relied upon to solve the case. So enter Veronica. I am using this book to fulfill the week-five theme of my library's summer-reading program: Genre fiction (mystery, of course). 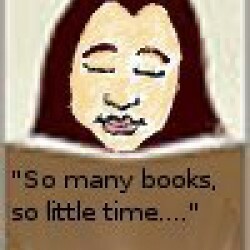 There is a book two to this series, but the library doesn't own it (hint, hint).